Betsy McCall is a quintessential American doll. She is a favorite with baby boomer collectors who remember her fondly from the 1950s, both as a paper doll and as a play doll. With production by the Tonner Doll Company, Betsy McCall is finding a new following of both old and young fans. The paper doll character was so popular that McCall's went on to produce a collectible doll based on the original paper doll. Both Ideal Toy Company and American Character produced Play-Pal size Betsy McCall dolls. Other companies that produced vintage versions of Betsy McCall include Horsman and Uneeda. Tonner Dolls, Inc. has been making Betsy McCall dolls since the 1990s. Vintage Betsy McCall dolls were produced from 1951 through 1963, and the modern Betsy McCall dolls have been produced since the late 1990s. Additionally, Betsy's cousins were also made into dolls like the Patti, Linda, and Sandy dolls. Betsy McCall dolls have been made in many sizes. The first Betsy McCall doll, made by Ideal Toy Company in 1952, was 14 inches. The popular vintage American Character dolls that were made beginning in 1957 were 8 inches. Betsy McCall doll sizes have been as large as 36 inches, 20 inches, and other sizes. The modern Betsy McCall dolls made by the Robert Tonner Company are made in 8-inch, 14-inch, and 29-inch sizes. The classic 8-inch 1950s Betsy McCall dolls were made of hard vinyl; a few of the larger Betsy McCall dolls were made of a softer vinyl. The modern Tonner Betsy McCall dolls are also made of a hard vinyl. The most popular vintage Betsy McCall Dolls are the 8-inch American Character dolls. Those dolls in played-with condition can be found for sale online at a price of $150 to $200. Mint 8-inch 1950s Betsy McCall dolls in desirable outfits can easily bring $300 to $500 in internet auctions. The 14-inch Betsy McCall dolls by Ideal Toy Company are not as popular and are generally be found for under $200. 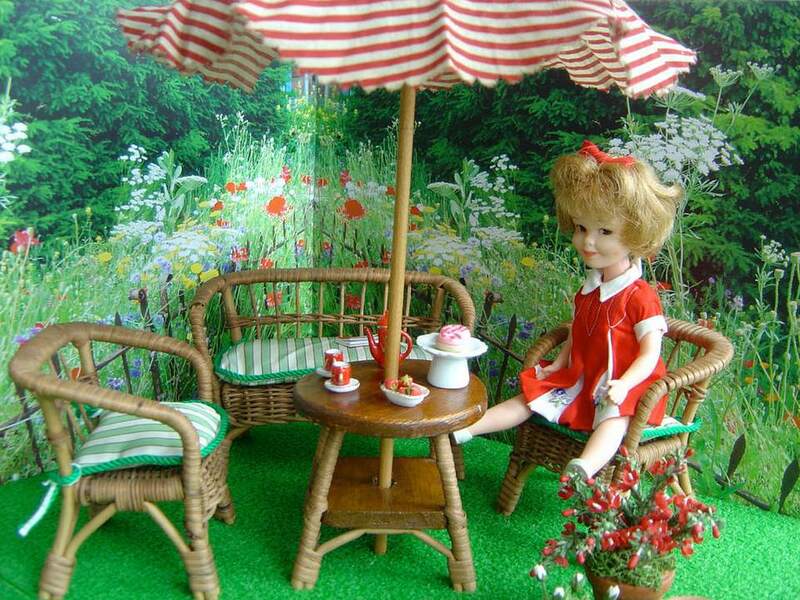 Other American Character Betsy McCall dolls are also desirable. There is not a big market for the Tonner Betsy McCall dolls as they are much newer than the other brands. Betsy McCall is a doll known for having a wonderful wardrobe, and the 8-inch vintage and modern dolls in particular have many outfits available. In the 1970s, the Betsy McCall Beauty Box doll was produced. It measured 13 inches and had a non-toxic makeup kit with hair accessories.